Luxury handmade and hand crafted gifts by Luxury At 1 are some of the most beautiful gifts you could give to a loved one. Give someone special a unique and bespoke personal gift whether this be for a birthday, wedding or anniversary. At Luxury At 1, gifts are lovingly chosen were there are hundreds of luxury fur fashion accessories. Many of our fashion accessories are from around the world and specialise in furs, wools and fabrics that are kind to the skin for those who have allergens to man-made fabrics. 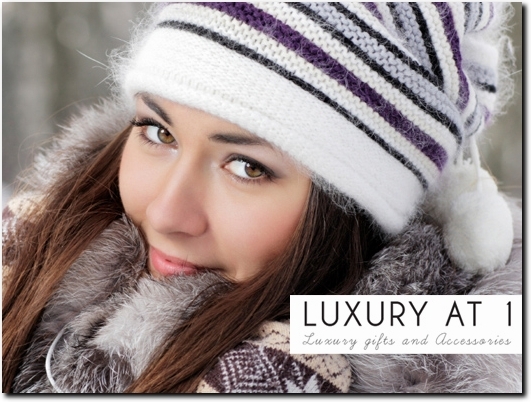 Luxury At 1 have real fur hats, scarves and headbands. UK (Wigan, Lancashire) based business providing a range of clothing and homeware products. Website includes e-commerce facilities, delivery and returns information, terms and conditions, full contact details including company registration number.